On the occasion of Women's Day, we organized a Cancer Awareness camp in which patients were offered a breast scanning, oral cancer screening test, and PAP smear test for cervical cancer. The response was tremendous and the camp was an overwhelming success. Here are some of the photos that were clicked at the camp which should give you an idea about the initiatives taken by Acharya Shri Nanesh Hospital. Dr.Dalbir Singh supported the cause by screening ORAL CAVITY checkup for oral cancer. 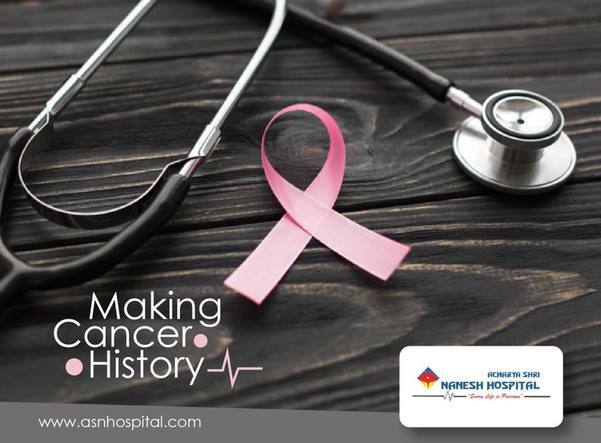 Dr.Nivedita Singh did breast scanning and PAP SMEAR test. Free Health awareness camp Acharya Shri Nanesh Hospital, CBD Belapur organized a free health awareness camp at sector 17, Kamothe. Dr.Anjali Patil explained the advantages of govt health scheme -Mahatma Jyotiba Phule Jan Arogya Yojana under which many surgeries are done at free of cost or at minimal charges at Nanesh Hospital. Many Cancer patients have been treated at Nanesh Hospital under the govt health Scheme -MJPJAY. FREE KIDNEY HEALTH CHECKUP CAMP Having sick kidneys is called a silent disease because there are often no warning signs. To drive away your fears, Acharya Shri Nanesh Hospital is organizing a Kidney Health Screening & Awareness Camp on the occasion of World Kidney Day. Our Kidney health team will be on hand to check if everything is okay while also giving you good advice about how to keep your kidneys healthy. Make sure to attend and also share this information with your family and friends! Call on 8693084084 for more details. Services Available:- 1. Laparoscopic Kidney Surgeries. 2. Kidney Stone Laser Surgeries. 3. Kidney Cancer Surgeries. 4. High Creatine Level Treatment. 5. Prostate Surgeries.